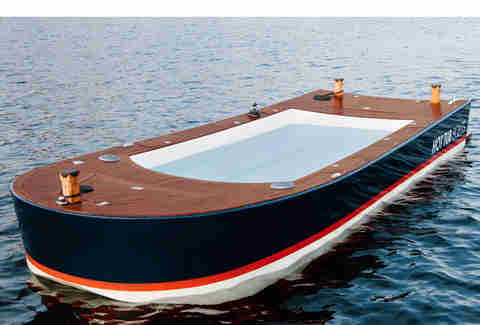 Finally, a boat you can drown inside! 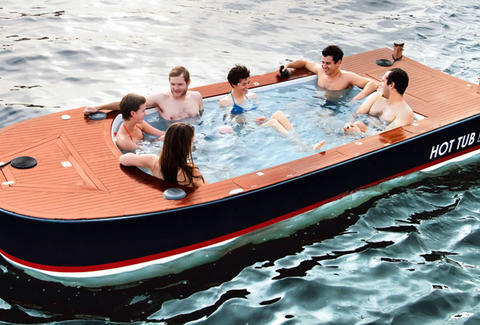 Hot Tub Boat has an electric motor operated by an on-board joystick and cruises up to 5 MPH in search of the perfect spot of water over which to park more water. Also included is a two-channel waterproof stereo system through which you are contractually obligated to pump Jimmy Buffett MP3s exclusively.